SpaceX’s next Dragon spacecraft has been recruited to deliver a replacement set of batteries to the International Space Station (ISS), after an issue during ground testing caused NASA to postpone a set of upcoming EVAs. The utilization of September’s CRS-4/SpX-4 mission is not the first time a Dragon has come to the aid of the ISS’ spacewalk plans. The next Dragon is patiently waiting her turn in a schedule that is set to be a breakout year for SpaceX, with a conveyor belt of launches in full swing – not to mention the company’s future ambitions that included the revealing of Dragon’s next advancement, the crewed V2. 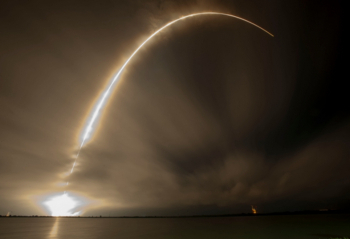 SpaceX recently launched the ASIASAT-8 satellite, less than a month after its ORBCOMM OG2 success. The next mission – with the ASIASAT-6 satellite – is already deep into its processing flow. All the Falcon 9 hardware for this next launch is now at the company’s SLC-40 launch site at Cape Canaveral, following the arrival of the First Stage from SpaceX’s test center in McGregor, Texas this week. Per L2’s ASIASAT-6 updates, the integration flow will take the next Falcon 9 through to a Static Fire test on August 20, ahead of an August 26 launch that is targeting a T-0 at 01:06 Eastern – a date that is now tagged as “approved” by the Eastern Range. Thanks to the smooth turnaround of rocket hardware, the F9S1-013 First Stage arrived in McGregor this week, ready for its series of testing. This core will be responsible for aiding the CRS-4/SpX-4 Dragon’s ride uphill in mid-September. Dragon’s upmass is part of the convoy of Visiting Vehicles (VVs) that the orbital outpost relies on in this post-Shuttle era. While the vehicles provide for the every day requirements of the expedition astronauts, the convoy of ships also allow for a level of ISS hardware replacement, from medium sized ORUs (Orbital Replacement Units) through to specifically requests items. An example of a specific “late” request has been employed for the CRS-4 mission, with a set of batteries now manifested to ride in the Dragon’s pressurized section. The requirement came after ground testing revealed an issue that resulted in a loss of confidence across the set of Extravehicular Mobility Unit (EMU) Long Life Batteries (LLBs). The batteries are a major element of the EMU, with the spacesuit transferring to its own battery power shortly before the astronauts egress the Quest Airlock. 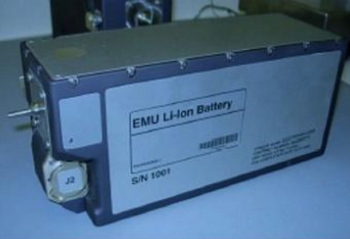 “During testing on an EMU battery on the ground, a fuse blew anomalously. Investigation found damage to the fuse, which is believed to be caused by the acceptance testing that all flight articles undergo,” noted L2 ISS Status information. It’s not the first time a Dragon has come to the aid of the Station’s EVA plans, as the CRS-3/SpX-4 mission involved the delivery of a replacement EMU, allowing for the return of a faulty suit on the same vehicle when she returned to Earth. This spacesuit relay was enabled by a specially built rack inside the Dragon. 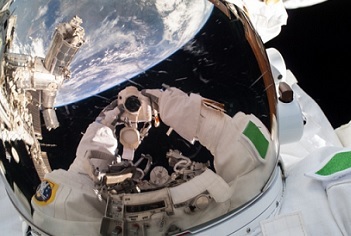 The CRS-3 delivery surrounded a temporary stand down of ISS EVA operations, following the water leak in Luca Parmitano’s EMU during the aborted EVA-23 last year. Given the safety requirements for spacewalkers, NASA is holding back on two upcoming EVAs, pending the Dragon delivery of the replacement units. The two EVAs were scheduled to take place on August 21 and August 29. A Russian EVA – using Orlan spacesuits – is still on for August 18. “US EVAs Postponed: The Space Station Program Control Board (SSPCB) decided to postpone the US EVAs planned for August 2014 due to an issue with the EMU Long Life Batteries (LLBs),” added notes. “An LLB from EMU 3010 was found to have a fuse failure, likely resulting from pre-flight burn-in testing. All LLB fuses use the same burn-in procedure and test setup. The ability to return the on orbit batteries back to Earth for evaluation is enabled by SpaceX’s Dragon being capable of providing this role, as much as the Russian Soyuz can return a very limited amout of downmass. For her primary upmass, Dragon will be lofting more than just cargo supplies for the ISS crew, with several specific payloads already manifested. This includes an exciting piece of hardware that will ride in her unpressurised trunk. 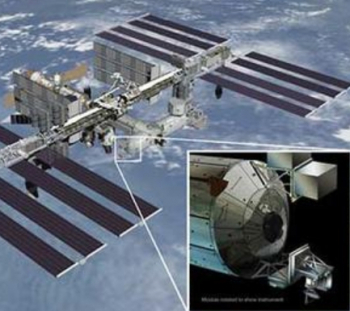 Known as the ISS-RapidScat, the experiment will be heading to the Station for attachment on the end of the Station’s Columbus laboratory, via the use of the Station’s robotic assets that are now well-versed in removing and installing hardware from the Dragon’s trunk. The experiment will study the Earth’s ocean surface wind speed and direction, returning a lost capability when the SeaWinds scatterometer aboard NASA’s then 10-year-old QuikScat satellite experienced an age-related antenna failure. ISS-RapidScat is a low cost project, after it was assembled from spare components left over from the development of QuikScat and ADEOS II. It will play another important role by complementing scatterometers – which function as active, all-weather radar systems via high frequency pulses bounce off the ocean surface – currently flying aboard the polar orbiting European Metop A and B and Indian OceanSat-2 satellites. The data gathered will aid the building of climate models, thus helping improve weather forecasts, including hurricane monitoring. A large array of hardware has been manifested for the ride inside Dragon’s pressurized section, including a 3D printer. 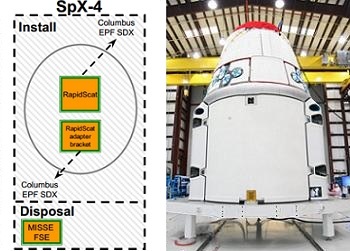 The printer was set to be launched on CRS-5/SpX-5 mission, but achieved all of its required NASA checks to earn a ticket on the upcoming Dragon. 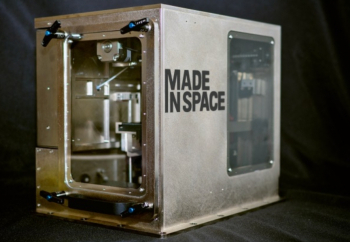 3D Printing is a maturing technology and should eventually provide the ISS with the ability to “print” a select amount of replacement parts, in situ. This technology will be vital for future explorers in deep space, where ISS-style cargo runs won’t be readily available. SpaceX is also a big fan of 3D printing, with parts for the SuperDraco thrusters on the Dragon V2 “printed” in this manner. L2 sources also note that parts for SpaceX’s next generation engine, the Raptor, are currently being 3D printed at the company’s Hawthorne base in California. That engine, part of the company’s own deep space aspirations, is for the future, with the current focus on continuing to press through their large order book, providing services for their commercial customers and NASA. (Images: via SpaceX, NASA and L2. ).